The location of this spacious apartment is the best advantage, as it is exactly 3 minutes away from the Holyrood Palace and the Parliament! So that makes it in one of the best locations in Edinburgh. If you are planning to have a great experience exploring the royal heritage then you will find the Hollyrood Palace where the Queen lives, Royal Gallery and the Scottish Parliament just 3 minutes walking from the apartment. 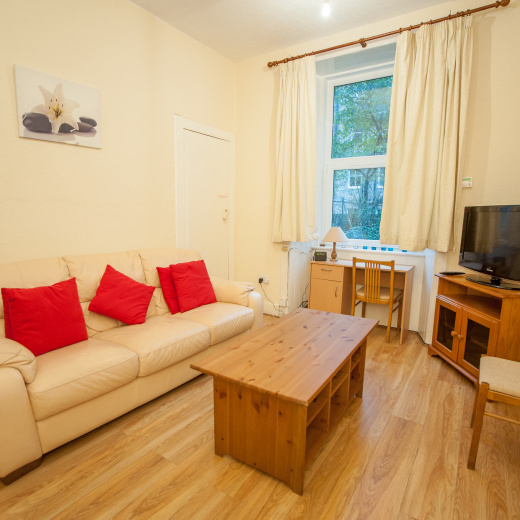 If you would like to see Georgian buildings, pubs, cafes and more landmarks then the apartment would be perfect for you as it is 5 minutes away from the beginning of the Royal Mile, which is one of the oldest areas in all Europe. 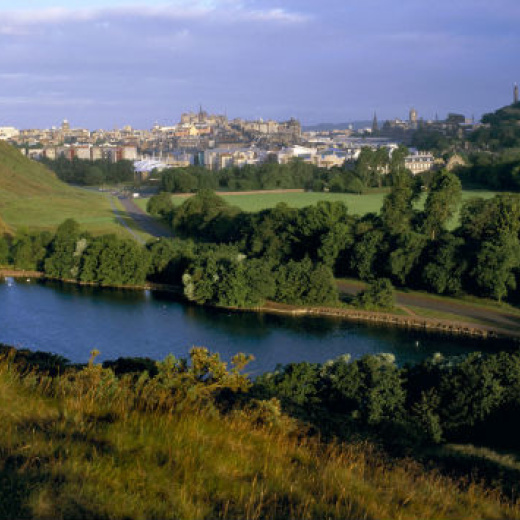 If you'd love to enjoy the green side of Edinburgh, and experience Holyroad Park which is one of the most famous parks in the world and is home to an inactive volcano, this apartment will be the ideal for you, as you can see Holyrood park from the building and it is just steps from the front door. If you'd like to visit a nice lake and play with swans, ducks and geese, St Margaret's Loch is 5 minutes away by walking from the apartment . If you want a quiet and cozy place all in 10 minutes walking from the city center, this apartment would is ideal. Free parking in the area is one of the best advantages which is quite hard to find in Edinburgh. 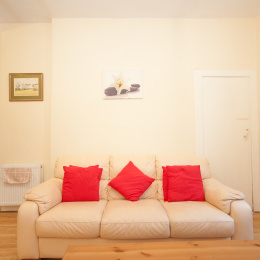 The apartment is a one bedroom ground floor apartment with a separate living room located steps in front of Holyroad Park. 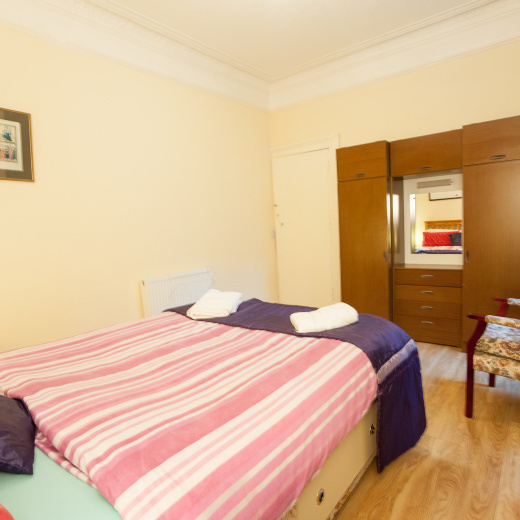 The apartment consists of one double bed and one single mattress (can be used for the third person), large wardrobe, chest of drawers, 2x bedside cabinets, Sofa (not sofa bed), all kitchen tools, coffee table, LCD TV and TV stand. Internet and WIFI is available in the apartment in high speed. 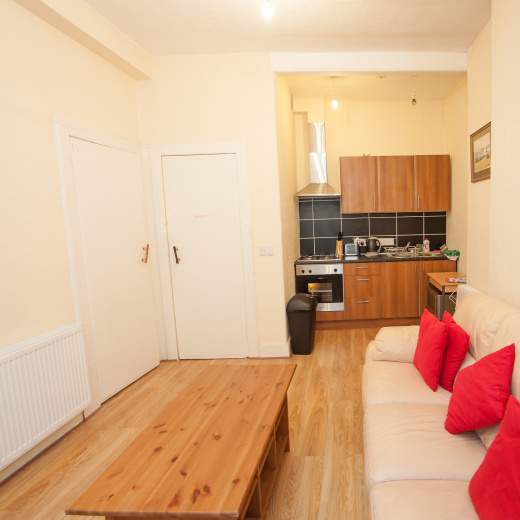 I am confident that you will enjoy all that Edinburgh has to offer you while staying in this flat. I am ale to make many recommendations for you in Edinburgh. Just contact me for help. You will be able to see Holyrood Park from your front door! You are short walk to the Queen's Palace at Holyrood, the Scottish Parliament and the Old Town. You will be walking distance from the Meadowbank Shopping Centre and close to an excellent selection of pubs, cafes, restaurants and more! This flat has a very quiet neighborhood, so we expect the same from you. -If the flat got any letters, please put them aside until we pick them up after you check out. -In check out day, make sure that everything is tidy and clean. Make sure that the fridge is doesn't contain any of your used foods and also take out the used bin bag to the bin in front of the flat.